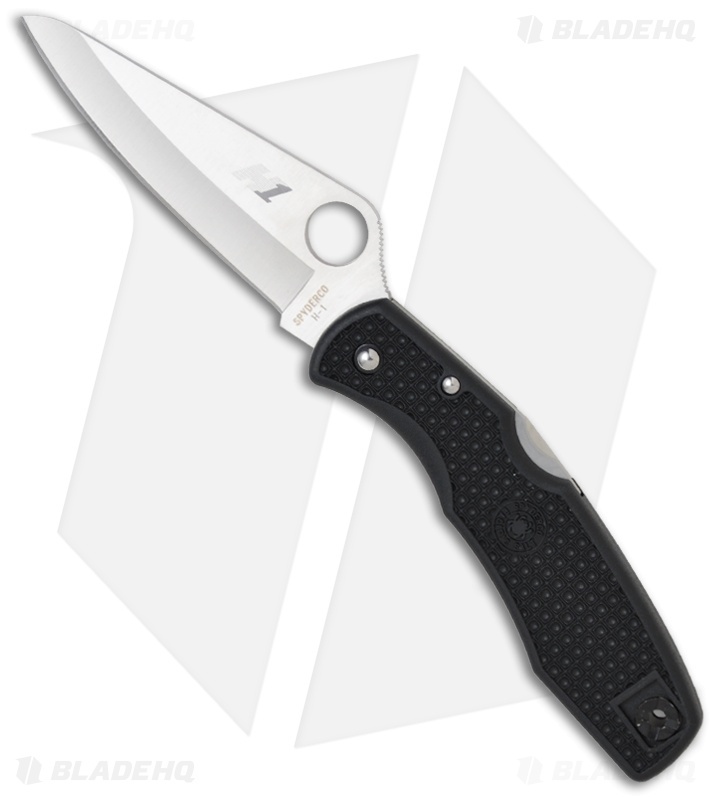 The Pacific Salt knife from Spyderco is built specifically for those that spend time in and around water. 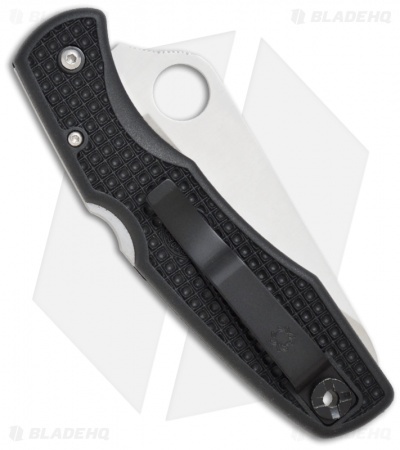 It is equipped with a hollow-ground rust-free H-1 blade with a plain edge and satin finish. The handle is black FRN and the internal steel parts are treated making them impervious to rust and pitting. The Pacific knife is similar in size to Spyderco’s bestselling Endura model but with a more rounded tip. I bought this knife before I moved to St. Maarten, knowing I'd be in and out of the water but also to use daily. This blade did the job well. NEVER rusted even after being rinsed with sea water. Didn't hold an edge great at first but held an edge longer with each sharpening. I found a used floor tile in a garbage heap for sharpening and had that thing shaving hair no problem. A bigger blade but not too big. Light weight. I'd buy it again. I really love this knife! I've carried a Pacific Salt since 2006. It disappears in the pocket and requires minimal maintenance. The edge retention is more than adequate for daily carry and touch ups are a breeze.